Stream "Disappear" at the link above off Anberlin's new album, New Surrender, out September 30th on Universal Republic. The song is also streaming on the band's Myspace page at www.myspace.com/anberlin. While on Warped Tour, the guys have been taking photos on their Buzznet phone and uploading them to their profile. 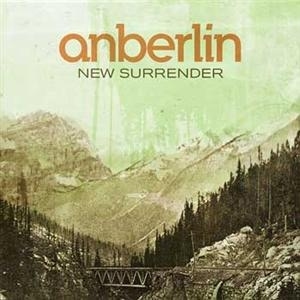 Check them out at www.anberlin.buzznet.com. And The USB wristbands previously only available on Warped are now on sale via Anberlin's merch site at www.anberlinmerch.com. The wristband allows fans to pre-order their new album and includes 4 exclusive tracks, remixes and alternate versions of material from both old & new albums. Anberlin will also send out surprise content to fans who buy the wristband via email once they register online after purchase. The wristband will contain a link in which the purchaser can redeem a unique pin number that will enable fans to enter their email address and receive a full album download of New Surrender on street date.